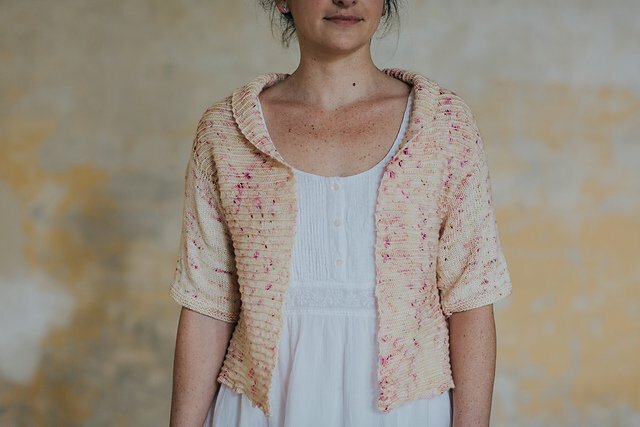 The Vigée cardigan uses a modular construction. First the collar is knit in a long rectangle using a modified garter stitch pattern, then stitches are picked up and another rectangle is knit for the back piece. Next the sides are seamed together, leaving space for the armholes. Last, stitches are picked up around the armholes and the sleeves are knit in stockinette stitch. The result is an open cardigan, with a relaxed fit that will be your new go-to shoulder cover for Spring and Summer. Cardigan is intended to be worn open, without overlap and 2-4”- 5-10cm of positive ease. 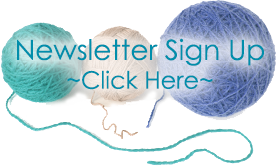 Vigee is available on ravelry - we can help you purchase it in store!